If you would like to join the list of privileged dogs who join our daycare playgroups then please contact us. 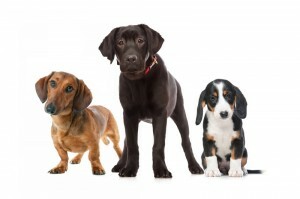 We will then schedule a screening appointment to ensure that dog daycare is right for your dog. The DogSmith operates with set playgroups that are safe and fun. Certain locations offer a daycare membership program. This is exclusive and places are limited. The membership term lasts for three months. That way your dog has playmates who are screened, safe and fun, for three months. This ensures your dog gets the best out of daycare and is not exposed to any negative or unpleasant situations that could cause emotional trauma, resulting in fear or hesitation around dogs or people. The DogSmith doggy daycare operates with matched groups of canine friends who play together. When you apply to join our doggy daycare service please indicate which days you are interested in. We can then screen your dog for suitability in a playgroup. Your dog will then join a suitable group of other canine friends that meet each week for a day of romping fun in a safe and well-managed environment. Your dog will really enjoying playing and romping with his/her new friends. We have created a balanced approach to dog daycare that ensures your peace of mind while your pet enjoys optimal levels of play and socializing. Because dogs do not naturally play or socialize for eight hours a day, forcing your pet into playgroups for lengthy periods can be both stressful and physically challenging. It is essential that your dog has a private space and quiet time during the day between play sessions. Our Daycare Program, designed by Niki Tudge, limits the number of participants and matches dogs based on age, physical activity and personality traits. In addition, dogs less than 20 lb. play and enjoy daycare in a separate, specialized environment with friends of their own size. Our dog playgroup sizes are small to ensure we can effectively supervise your dog’s play and guarantee all dog interactions remain polite and stress-free, while giving them many opportunities to interact safely with their canine buddies. Your dog enjoys all the amenities of a DogSmith environment for the day! We encourage happy wagging tails, cold noses and playful barks. Belly scratches, ear kisses and chew toys are all on the agenda too. We do not object to dog drooling and shedding either! Our Pet Care Technicians are trained in canine behavior and communication and we practice polite daycare meet and greet skills. Your dog will be continually reinforced for all appropriate behaviors, such as not jumping up, appropriate barking and polite canine greetings, and we only use positive dog handling techniques. Some dogs in daycare enjoy sniffing, barking, chasing and general canine dog-foolery! Other dogs simply prefer the contact and company of humans while their owner is at work. We will gear your dog’s daycare experience around its needs. At The DogSmith dog daycare each guest receives its own private space for eating, sleeping, lounging or some good old-fashion dog-watching! If your dog meets these criteria then schedule a screening today.